With the recent updates to Google’s Panda and Penguin algorithms you might be asking yourself, how can we make sure our website is up to date with the latest SEO changes? Why does Google make updates? Since the changes began in 2011, one thing has been consistent with all of these updates. Google aims to improve the quality of content on the internet. Imagine yourself looking through an encyclopedia and you find a page that has nothing to do with what you’re looking for. Now imagine something worse; you find a page that has a big advertisement to another book which may not have the information you want. Wouldn’t you be frustrated? It’s for these reasons that Google wants to build an online directory of quality websites relevant to the search queries you or your customers may have. What does Panda and Penguin do? In general, the Panda update promotes quality content while Penguin promotes quality links. Additionally, websites that provide poor content and links are penalized. Some examples are content and link farms that promote spam and/or irrelevant content. Another example are websites with excessive advertisements. Now if we continue with the encyclopedia analogy, then imagine trying to look through an entire set of encyclopedias full of advertisements or even worst, useless information. You would be far more than frustrated with the set. So these updates are meant to build up the quality of Google results. This means that relevant information will be more readily available for anyone that is searching for it. So how does this impact your website? The bottom line is that your content should be written for people first and Google second. One easy way to do this is to use Yoast WordPress SEO plugin. When I first started using this plugin, I assumed I didn’t have to do much to improve my website’s SEO. However, after using it for a while I soon realized that the plugin was designed to help you write better articles. The plugin provides SEO tools to help analyze your pages. When you create an article, you are writing for your audience. You make sure that the content is readable and your message can be understood. After you have finished your article and proof read it, the next step is to use the WordPress SEO plugin to identify your Focus Keyword. In addition to that, you want to make sure your SEO title, your permalink and your Meta Description also reflect your Focus Keyword. By doing this you are ensuring that you have written quality content and that you have given Google the focus of the article. There is more to SEO than just writing a great article, but this is a good starting point. As a rule of thumb, I personally aim to write around 600 words an article. The longer the article the better. Some SEO websites call authoritative articles in excess of 1000 words as pillar articles. Make sure that you use best practices when writing these articles and best of all, try to link internally to other relevant articles on your website. In the early days of SEO, before Google released Penguin upon the world, people could purchase link backs to promote their website. The more links you had pointing to your site, the better your Google rank was. The problem with this method was that people who had the most money benefited from this. It didn’t mean you were getting quality sites on the first page of Google. Penguin changed that. No longer can you rely on link farms or SEO companies that sell builk link backs. Today, link building is still important, but it’s the kind of links that you build that matter the most. A good quality link from a well ranked website is better than 100 poor links to your website. Additionally, Google appears to be putting more emphasis on social media. Websites that interact with their customers via Twitter, Facebook and other social media are poised to stand well with current and future updates. Building a page on a social media platform can only help to build your online presence. 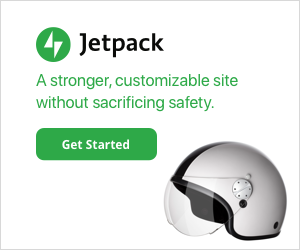 Additionally, using Jetpack by WordPress.com will allow you to add further social media integration into your website. Giving your readers/customers the ability to read a page and then share it to their social networks is a great way to spread your articles via the virtual word of mouth. Giving people the ability to sign into your website via their Facebook or Twitter accounts is a big plus. Many websites use different methods to promote their pages and articles via social media. Some can be annoying while others are more subtle. One example is visiting a website which will not let you read an article unless you press the share button. Whether people like this method or not has yet to be seen, but social media is an important factor in building your website link backs. Lastly, participating in forums which are relevant to your content or becoming a guest writer on another website are extra strategies to help build quality link backs. Google’s SEO algorithms are constantly being updated and it appears that these updates won’t stop. By using best practices and writing quality articles, you can ensure that your website won’t be impacted as much as others. Understanding what Panda and Penguin do will help you build a better SEO strategy. So whether you have a website or are starting from scratch, using WordPress as your foundation and Yoast’s WordPress SEO plugin are a great way to enhance your SEO strategy. Integrating social media into your website and using extra plugins such as Jetpack to promote your articles can only help with your SEO rankings. Remember when writing an article, write for your audience first and Google second. If you would like to contribute to this article and/or share your experience with Panda and Penguin, feel free to do so in the comments below. So now that you know what to do, go out and start updating your SEO strategy and articles.